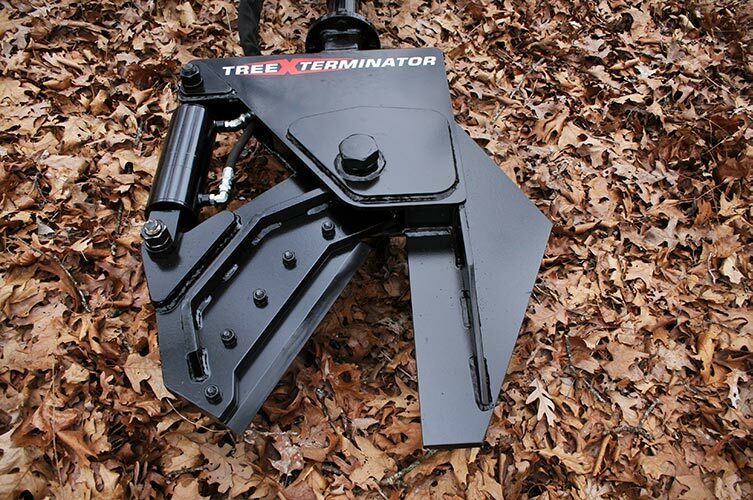 The Tree Terminator Rotating Tree Shear allows the user to cut ground level trees and limbs up to 8 inches in diameter. 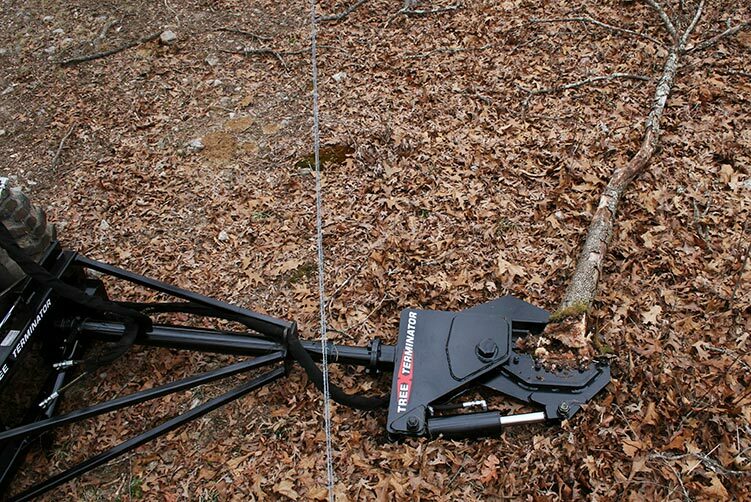 The Rotating Tree Shear can be operated from the comfort of your skidsteer, tractor, backhoe, or excavator, rotating 90 degrees to trim limbs and cycling quickly back 90 degrees for ground level cuts. The heavy duty and streamlined design will allow the shear to slide under fence rows to easily cut an 8-inch tree up to 6-feet away, on the other side of the fence. Do you have limbs hanging over your fence-line making it difficult to mow next to your fence? 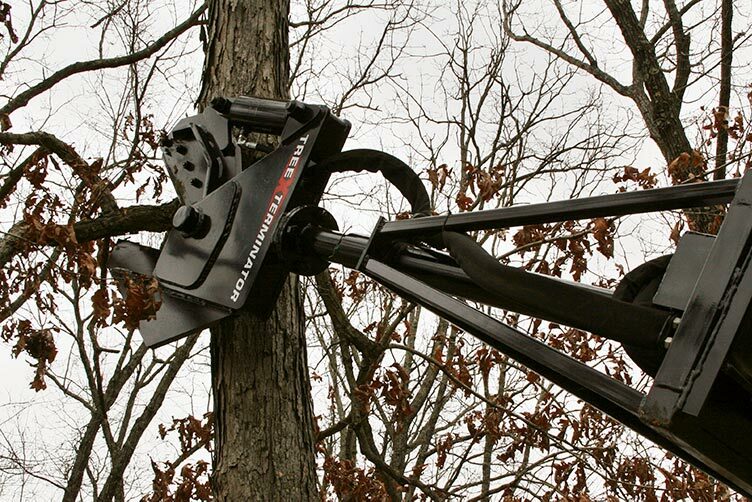 The Tree Terminator Rotating Tree Shear measures 9-feet from the mounting plate to the tip of the blades. This allows most users to cut limbs with ease 20-feet or more from the ground.